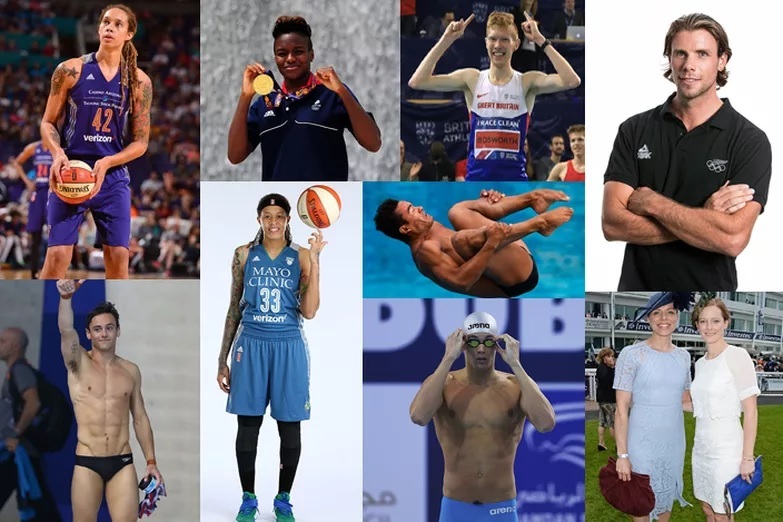 Stonewall Gazette: How Many Openly Gay Athletes Are Competing in the 2016 Rio Olympics? How Many Openly Gay Athletes Are Competing in the 2016 Rio Olympics? The Rio Olympics [currently] has 41 publicly out LGBTI athletes set to compete, the most ever for an Olympics. The British delegation currently holds the crown as the "gayest" in Rio. The 2012 Summer Games in London featured 23 out LGBTI athletes. Others have come out publicly since they competed in London. Here's the list of the out LGBTI athletes.